When you are on the go, you need a work bag that can do it all. It has to be durable. It needs to fit ALL your belongings and allow you to quickly access them. You basically need the modern-day Mary Poppins magic bag. And oh, you also want to love how it looks. Do these even exist!? Absolutely. We scoured the web to find the perfect work bag that can work for all day, every day. We looked for the standout features that make the bag exceptional, saw what customers were saying and checked out the media coverage to help you find the work bag you can’t live without. Made out of 100 percent Italian leather, the exterior is water-resistant, making it perfect to wear year-round. The Maestra is super versatile and can be worn as a shoulder bag, crossbody, backpack and top handle. In terms of what you can expect on the inside, think lots of space. 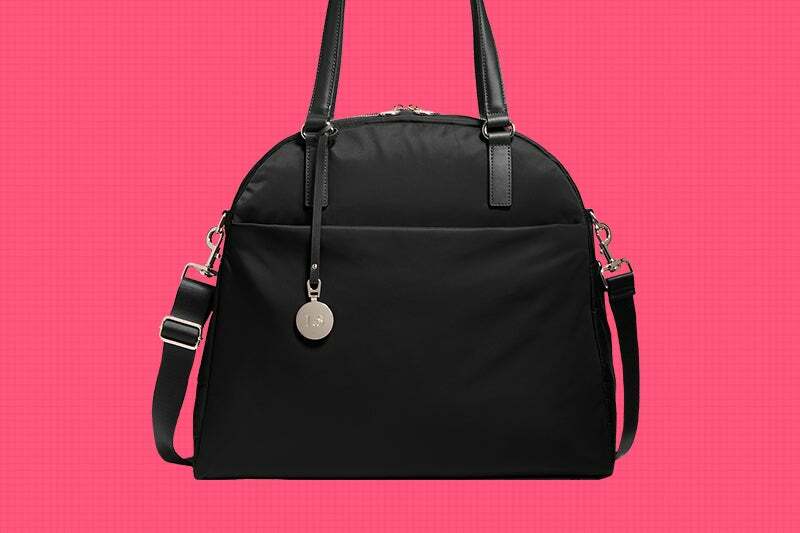 The Maestra was designed for the busy woman and can carry a number of tech essentials, including a laptop (full sized! ), phone and tablets, along with your notebook, wallet and more (and no, it doesn’t weigh 5 pounds empty). There are a bunch of pockets – both on the inside and outside – making staying organized a cinch. As for colors, have your pick. Not only does Maestra come in the basics – black, beige and white – but also fun colors like marine, lilac and merlot. What customers love about it: "I have been using my [Maestra] bag for two days for work, and I looooove it. I can put my lunch and water bottle in it and carry [it] as backpack to save my arms from pain, and I look so stylish. I can also get to things easily! This bag does exactly what it says [it] can do! Every day, random people are giving me good comments. I am so happy." Shout outs: Forbes ("New world technology meets old world craftsmanship"), Fast Company ("Work bags that are beautiful and functional"), Elle ("The perfect first impression") and many more. What to consider: It is on the pricier side. Where to buy: On Senreve.com, other online retailers, like Nordstrom, or at local boutiques. What we love about it: If your workday includes traveling, look no further then Lo & Sons’ O.G. – and its tinier version, the O.M.G. But you don’t need to cross state lines for this bag to fit into your wardrobe; it is also perfect for your day-to-day trek to work. The lightweight bags are super functional, having pockets for everything, including your laptop, phone and even a place for shoes. (Every city dweller who does the quick heel-to-flat switch is screaming, “Hallelujah.”) There is also “leash” to clip your keys to, so you don’t struggle finding them (which always happens at the worst times). Customers love the minimalist aesthetic and functional design and are known to scoop up the same bag in multiple colors. Shout outs: Bloomberg (Business Travelers Name Their Pet Peeves. We Name the Cures), Self (13 Cute Bags That Are Actually Big Enough to Hold All Your Stuff) and others. What to consider: This company only sells direct to consumer, so don't expect to pick up at your local retailer. What we love about it: Cuyana’s philosophy is that people should have “fewer, better things” that they love and will last for years, rather than months. And that is exactly why we love its Work Satchel, a classic must-have bag that can part of any wardrobe. Made of 100 percent premium Italian leather, the company pays painstaking attention to ensure this multi-functioning bag is built to last. Designed by artisans in the U.S., South America and Europe, each Work Satchel has a place to put your laptop, a large outside pocket, an inner slide pocket and center zip compartment to make sure all your belongings stay organized, without compromising style. 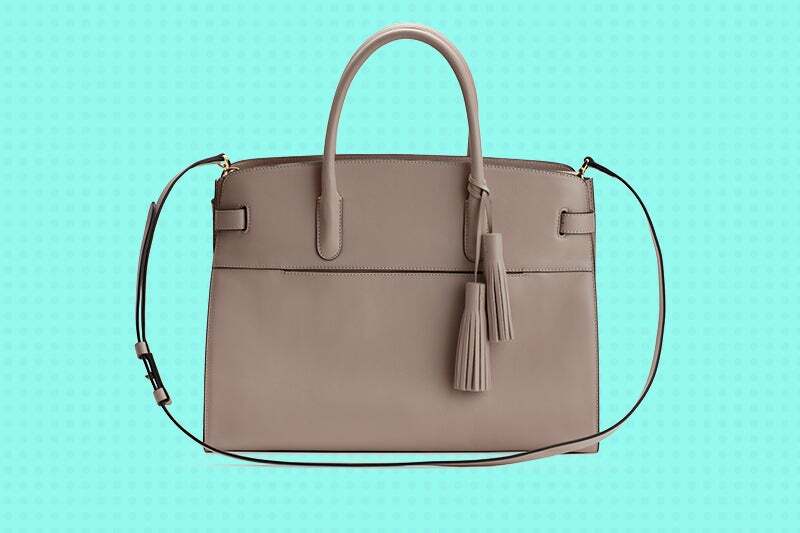 There are two options for straps, and you can up your game by adding a tonal tassel to the bag. It’s a timeless staple that will be part of your life for a long time. Another great thing we love? The company has a program called Lean Closet, which encourages women to donate excess or unworn pieces in their wardrobe to those who could really use them. What customers love about it: "I purchased the Work Satchel and the double zip pouch. I can't say enough about it. They have really made my life easier and increased my efficiency, exactly what a work bag should do.... The quality is impeccable, the structure and smooth leather is beautiful. Best of all... there's no label anywhere, except a simple tasteful name on the zipper. I love it." 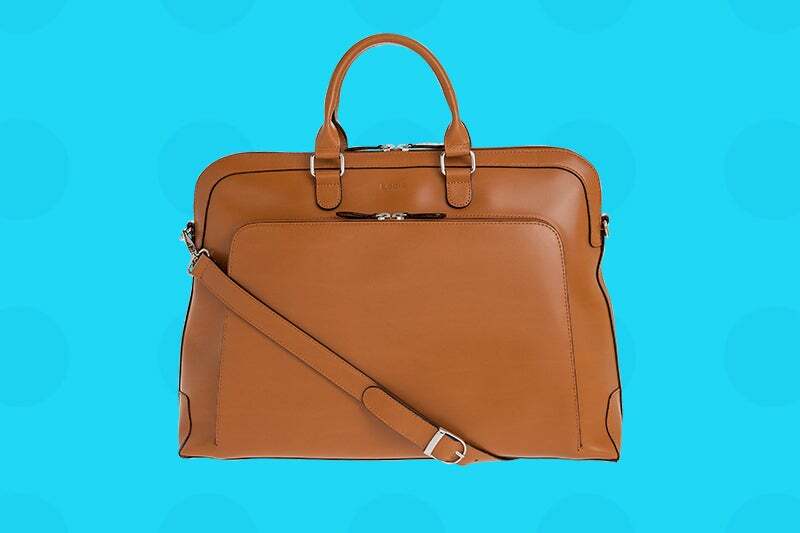 Shout outs: The Cut (11 Sleek Leather Work Bags Under $400) Business Insider (14 work bags that have all the convenience and space of a briefcase — without the limitations), Fashion Files (FFInterviews: Cuyana is the Brand You Need to Know) and others. What to consider: Another brand that sells direct to consumer, you have to order from the website. What we love about it: Armadio is a super unique brand in how it sells its bag. Using the direct-to-consumer business model, the founders travel to Tuscany, a well-known spot where many Italian luxury artisans live and design for high-luxury brands (which as we know, can costs thousands of dollars). These artisans often create their own private labels and sell to Italian locals. This is where Armadio steps in. The company features a very curated list of these artisans whose products are made to order – and don’t come with the exorbitant markups. So, if there is a “limited edition” product, it isn’t just a marketing ploy. Fortunately, the company knows when it has something good -- and that includes its Dassel bag. To create the bag, the company partnered with Nicolò, an award-winning artisan with more than 40 years of experience, including designing products for Prada and Furla. Using high-quality Italian leather, the Dassel bag is functional, robust and high-end, without the super expensive price tag. The straps are made from adjustable leather with comfort as a foremost concern There are internal pockets, along with three separate compartments to keep everything organized. What customers love about it: It is new to the collection, so no reviews yet. What to consider: This bag is new to market, so you can't depend on peer reviews. What we love about it: The people behind Lodis want to specifically target one demographic: women on the move. 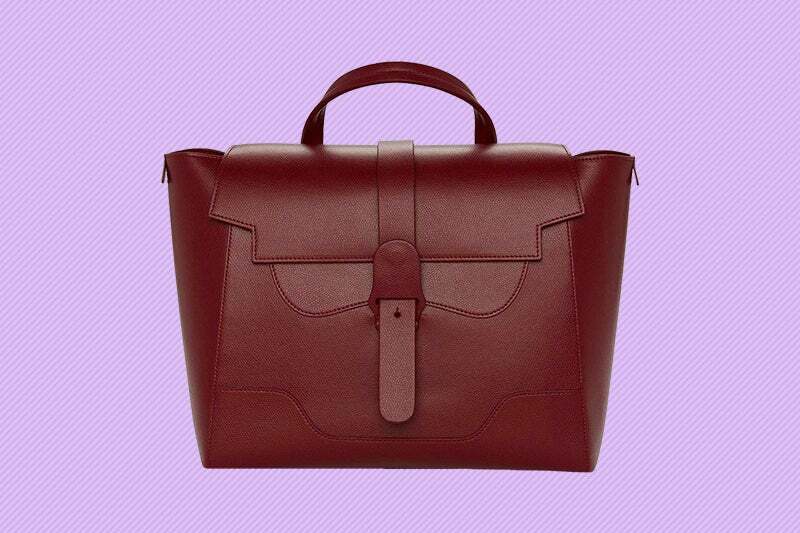 And with the number of exceptional and functional bags the designer offers, they hit their sweet spot. We are loving the Audrey Brera Briefcase And while it has the word “briefcase,” in its name, the bag is neither clunky nor awkward. The functional bag is durable, yet sleek. 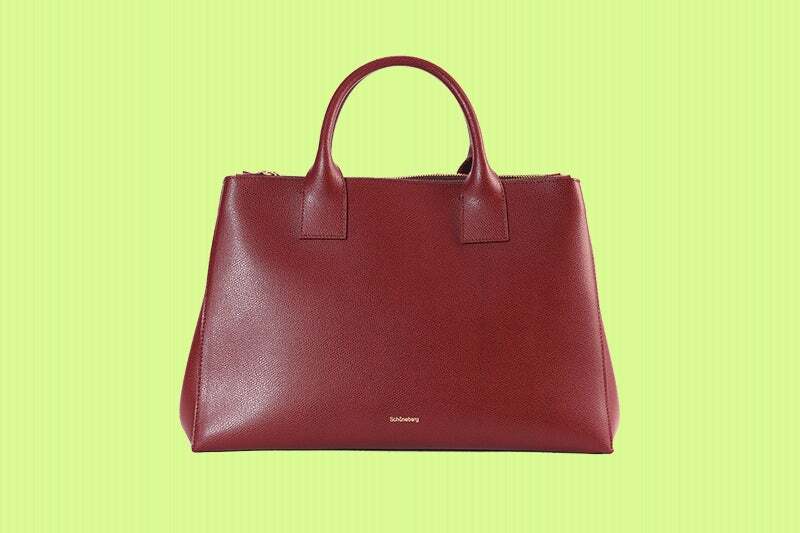 Its simple lines make for a sophisticated, yet refined bag that is perfect for the office. The exterior has “Under Lock and Key” RFID protection, ensuring your private information stored on your phone, laptop, tablet or other tech device in the purse stays safe from thieves trying to steal your valuable information. (Known as RFID skimming, data can be stolen from chip-enabled cards by activating an RFID reader and transmitting the information.) The Brera holds everything you need. There are padded pocket for a laptops or tablet, slots for business cards, phone or glass pockets and a place to hold your pen. It’s basically like a mobile office for when you are on the run. Plus, the bag will last a long time, just like the company which has been around since 1965. What to consider: This bag is the biggest on the list, so if you are looking for compact, it may be too large for you. Where to buy: On Lodis.com or other online retailers, like Nordstrom, Lord & Taylor and Zappos. Also, check the site to find a local store in your area.